In 2014, WIRED would profile a “boring” company called Slack beginning a media and venture-based obsession with bringing chat to every corner of our work lives. Somewhere along the way, the growth of chat-based enterprise communication was conflated with a preference for doing everything in a chat window, and thus we were given chatbots. Microsoft CEO Satya Nadella would go on to call them “the new interface,” and by 2017 over $24 billion in funding had gone into chatbot companies. A year later, and the landscape of chatbot funding is desolate. And it’s because they were never truly built to solve the many, many problems they were supposedly created to fix. Take the CNN chatbot. The idea was that people would naturally want their news brought to them “where they were” — inside chat windows. Sadly for them, the assumption was made that because users spent a great deal of time in an interface, that was where they wanted everything. 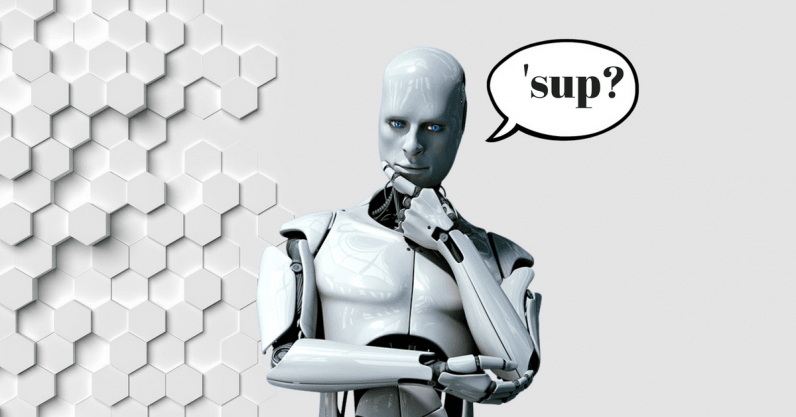 The critical issue for all chatbots is that the surge of popularity stopped people from asking crucial questions around how users interact with products. As an interface they run into key issues around doing their jobs. A brutal example comes in the form of savings app Digit, who added a chatbot mechanism to their automatic savings platform, focusing “all the company’s efforts” toward making a conversational interface. A year later, their CEO would claim chatbots were dead, and that Digit was moving away from them thanks to their lack of precision and the innate “creepiness” of a human-seeming bot. The assumption was that people want to use every object with a human interface — that when given the chance, we’d rather have a conversation than simply complete a task. The truth is that chatbots failed to consider the “why” of how you use a particular app or system to complete a task. When I check what money I have in a bank account, I want to know a number — and, realistically, the fastest way to do so is in a few taps or clicks. Having to type “balance” or “savings” is awkward and unnatural — it’s steps between simply seeing a number. The best chatbots — some of which Dave Feltman discusses in his article on what happened to chatbots — mimic the user experience of a chat window when they’re simply presenting buttons to press. A button with an emoji or a more colloquial response is still a button, and ultimately does not substantiate billions of funding. Chat is an imprecise medium, perfect for communicating in quick bursts where perfection isn’t a requirement. By that same logic, chat and its innate colloquial nature is probably the worst choice for mission critical tasks. Adding transactions alone to anything related to chat or voice has already caused harm, with Alexa accidentally buying dollhouses after hearing itself on TV. To succeed, it requires genuine artificial intelligence, and by the time that we have AI that can complete these tasks, we’ll have significantly more interesting ways to do what we need to do. When we have the AI necessary to create a chatbot for one task (checking our bank balance), it will be inevitable that we will have one central “bot” (the designation of chat will be irrelevant) that can execute and deal with multiple things. Alexa, though also imprecise, is a preview of what’s to come. In many ways, what we got from chatbots were constant interferences with the execution of a task. What we truly wanted wasn’t a chatbot at all, but an intelligent, accurate, and central way to get things done.